Today's post is about one of my favorite outfits for fall __ puffer coat, denim and platform boots. You may remember from my recent Instastory, when I got these boots, they had some scratches, I was disappointed , so I had to go to the store and exchange to another pair but it was so worth my time __ they are not only pretty but very comfy too. 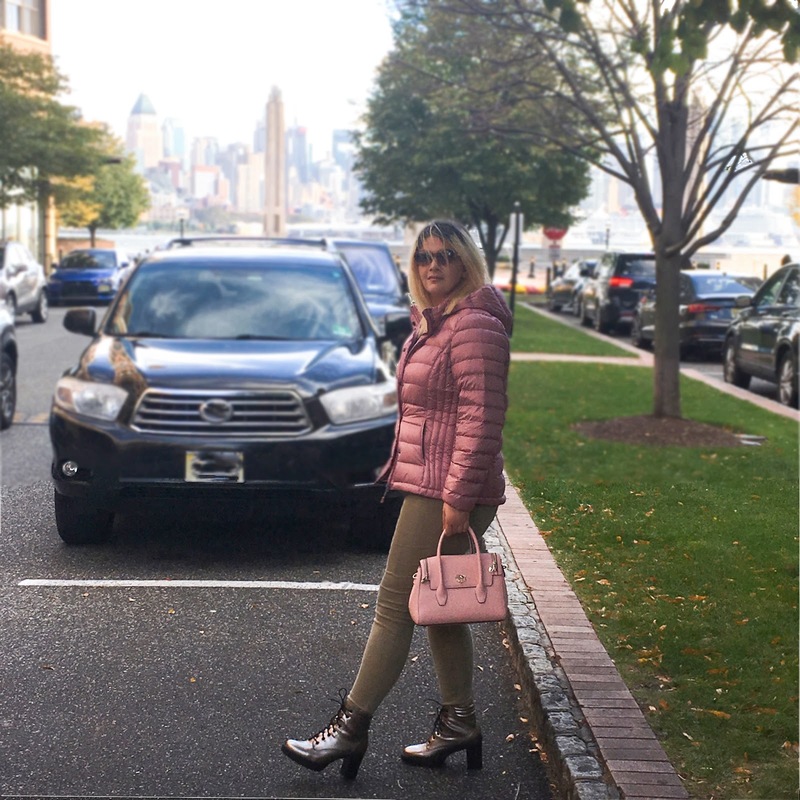 When I wear this blush puffer coat, I can't think of better bag than this pink bag, to carry. I get more compliments about this bag than about any other, more expensive bags. What are your fav outfits in fall? let me know in the comments below. This puffer coat is warm and so beautiful! Thank you Sarah. Hope, you are having a great day. Love this coat and I adore the metallic boots with it! First of all, I love that you are featuring more and more fashion posts and yourself, Nina! What a gorgeous outfit! Love all the pink tones! Very pretty. This color looks amazing on you, love that jacket ! This puffer jacket is so beautiful :) I love it! Beautiful items and pictures, Nina, you look wonderful! I loved your boots and jacket and the bag, no wonder it gets more compliments than more expensive ones, I loved it, so sweet! Hope you have a beautiful day! Hugs! The pink bag looks super cute!!! That bag is so cute!! I love it. This is pretty cute winter outfit. 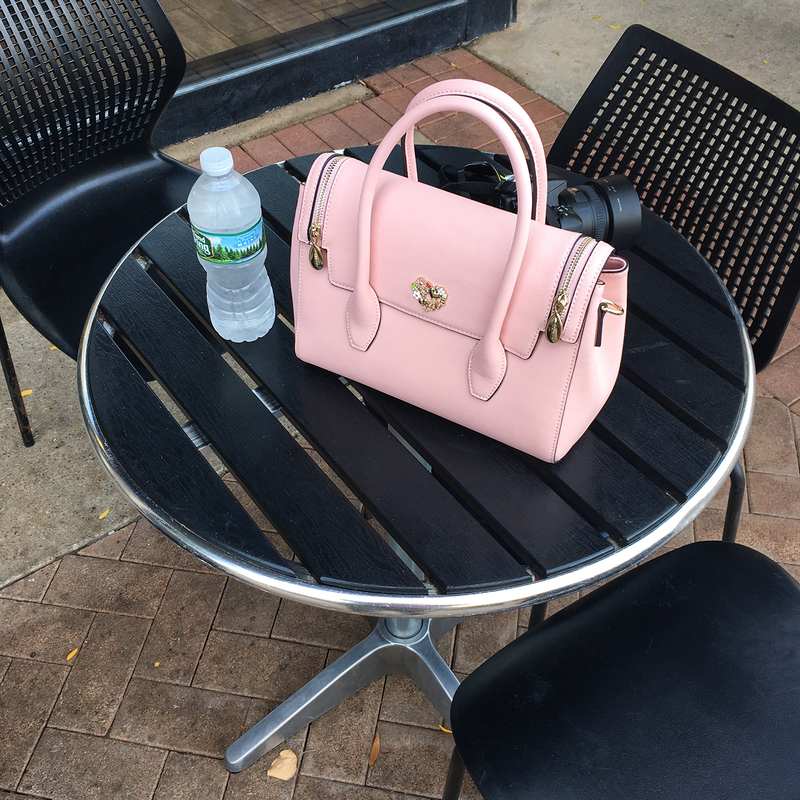 I love the pink colored bag. Great outfit! I really like the colours together!! I love that puffer coats are making a comeback! I'm really loving your puffer coat, the color is so pretty, and I adore those boots! Happy Weekend, babe! I just love that pink puffer coat! 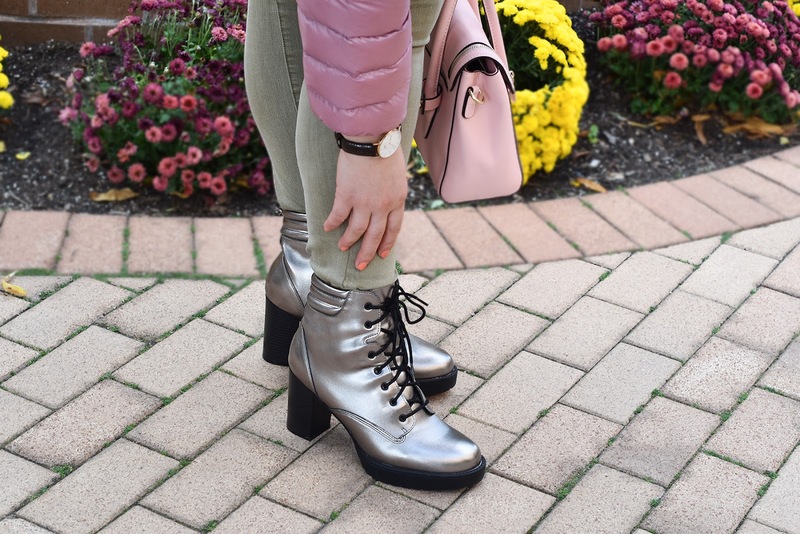 I love your puffer jacket and theses metallic shoes are beautiful ! Wow the whole look is so pretty and elegant! The boots are amazing! Love the jacket and the bag. Great look! Loving these little pops of pink! That pink purse is a gem. What a lovely outfit! Love the pink bag and metallic boots!